New Autumn menu now available in our Cafe! Now that Autumn is here, Our Café has some lovely warm and tasty new treats for you to enjoy. Our brand new menu additions include Freshly made Soup and Bread roll ( £3.25) , Sausage or Bacon Sandwiches ( £3.50), Beans on Toast (£3.00 adult/£1.50 child size). These are in addition to our existing range of Toasted Sandwiches ( £3.50-£3.75), Hot filled Jacket potatoes (£3.75), Children’s Sandwiches (£1.25) , Freshly made salads (£3.75), Sweet and Savoury Snacks and a wide range of Hot and Cold drinks . All food is freshly prepared and you can always pre-order so that it is ready for you when you finish your exercise class or workout! Our Café is open 7 days a week and everyone is welcome! Free Wi-Fi is also available so if you work from home and fancy a change then why not pop in? [vc_row][vc_column][vc_column_text]Starting on Monday 24th September at 7.45pm, join Emma for a fun, easy to follow 45 minute dance workout with glow sticks and disco lights. With a fusion of dance, toning and combat moves, Clubbercise is a fresh and fun class suitable for all fitness levels. The routines are easy-to-follow and with no dance experience necessary, all you need to do is relax and enjoy the class! Work out to music all the way from 90’s club anthems to today’s hits – dance like no-one is watching and sing like no-one is listening! Are now available in the Gym! Our varied collection means that they are suitable for all levels, whatever your fitness goals are and you will be guaranteed to feel the burn! 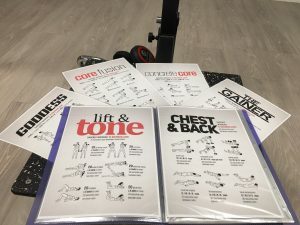 If you need any help or guidance on the exercises included in our brand new workouts then just ask a member of the Gym team. Drumba is coming to The Key Health Club! [vc_row][vc_column][vc_single_image image=”365″ img_size=”full” alignment=”center”][vc_column_text]We are delighted to be one of the first health clubs in Nottingham to offer this class to our members starting from 24th April every Tuesday at 7.30pm. Drumba follows a variety of music styles and beats using your own custom-made drum station in this fantastic new 45 min exercise class. This is your opportunity to combine some great fun with high energy activities such as cardio training, balance exercises, co-ordination skills, resistance and strength techniques. Work out to the latest music in this brand new feel great about yourself exercise class and also help relieve your daily stresses at the same time. Yoga classes are starting at The Key Health Club from Monday 16th April !!! Come and join our new instructor Fiona for a full body and mind workout in our brand new 60 min Yoga class every Monday at 6.30pm. 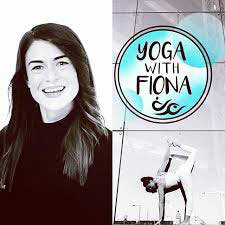 Having started practicing Yoga to alleviate her own physical aches and tensions, Fiona has now been a fully qualified Yoga instructor for over 5 years. Fiona teaches with a clear vocation for the well-being & happiness of others and we are delighted to welcome her to The Key Health Club. Yoga is a unique practice that strengthens & balances both body and mind. It encourages a happier & healthier way of living whereby the benefits are to be experienced both on & off the mat as part of an everyday lifestyle. There will always be options for modifications throughout each session to suit the needs of the individual so whether you’re a complete beginner or an experienced Yoga participant there is definitely something in this class for you! Members, you can book into the class up to 8 days in advance. If you are not a member but are interested in joining us at The Key Health Club then take a look at our membership options or pop in at any time.